Halloween is my favorite time of year. I love decorating and the weather changing! I think I have more Halloween Decor then I do Christmas and every year I add to it. This year I added this beauty to my collection! This is a very simple project! 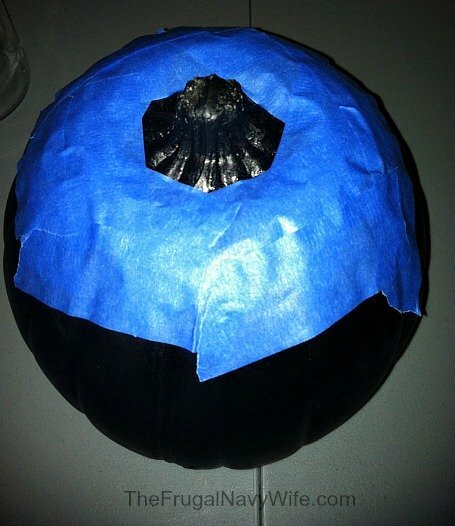 First start off by taping the pumpkin around the stem off and spray paint it. Let it dry before removing the tape. 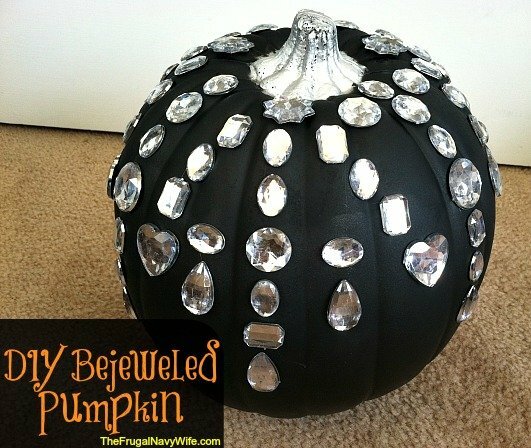 Then use your hot glue gun and and ad the jewels in any pattern you wish! I told you super easy! Join Us for Wedding Week: How to Have Your Dream Wedding for $1,500 or LESS!